The cookies are baked, the songs are rehearsed and the tree is decorated – Christmas can come! Teamelio’s team would like to thank you for a successful and exciting 2017. Our Black Weekend is here! 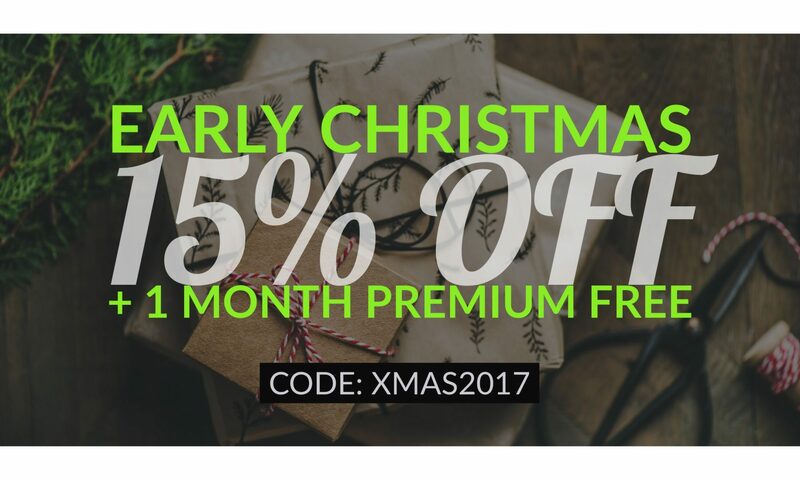 -30% on all premium plans + 3 months on top! 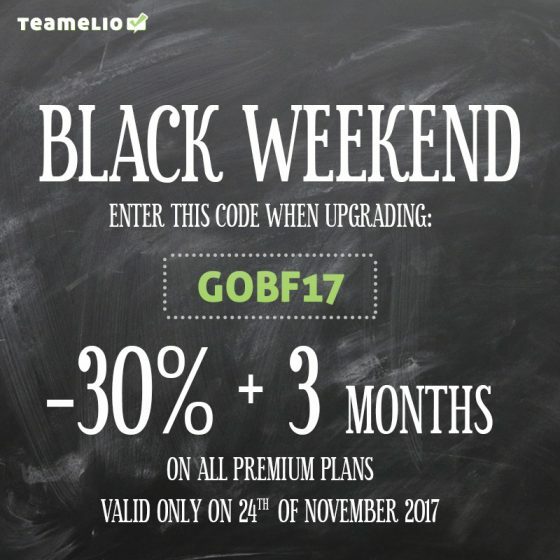 Only valid from 24th of Novermber 2017 from 00:00 to 26th of November 23:59 CET!